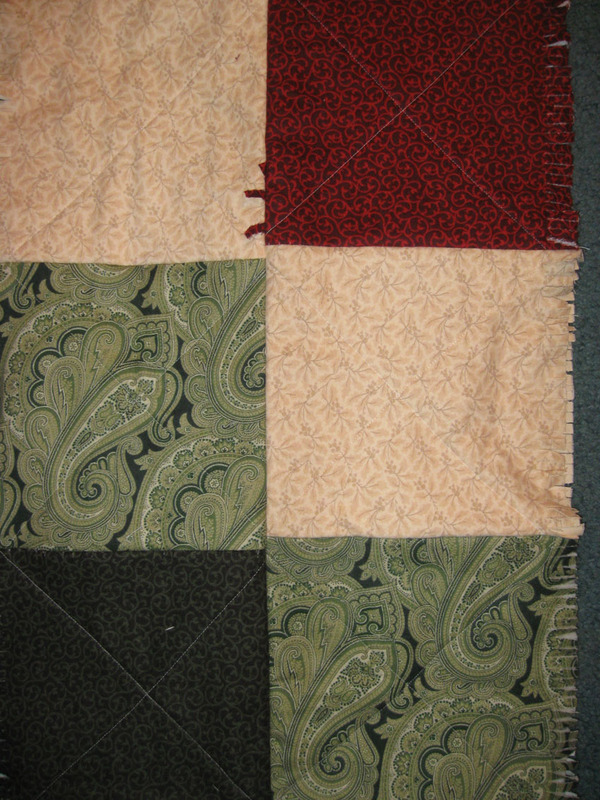 I thought, I need to finish this rag quilt. I have had the rows completed for a while and they have been hanging over my banister just waiting for a completion. I thought, I'll just whip them together without pinning them. How hard could it be? I'm regretting that decision. I finished up one row and placed it on the floor to admire. From the fringe side, it looks ok. However, when I turned it over for the flat side, each intersection was about 1/2 inch off. Not to mention, look at the fringe stuck in the seam. Looks like I'll be doing some seam ripping before moving forward. I'm making great progress on the string quilt. 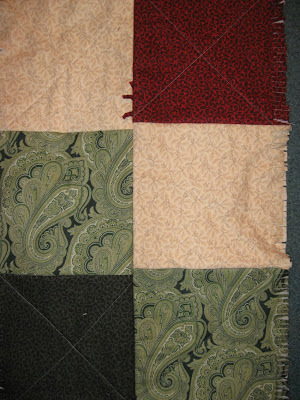 I have 12 of the 6.5" blocks completed. My goal is to finish 2 per day. I don't have enough attention span to do more (lol). 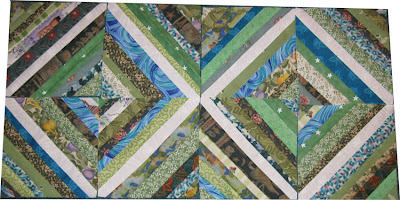 Here's a photo of 8 of the completed blocks. 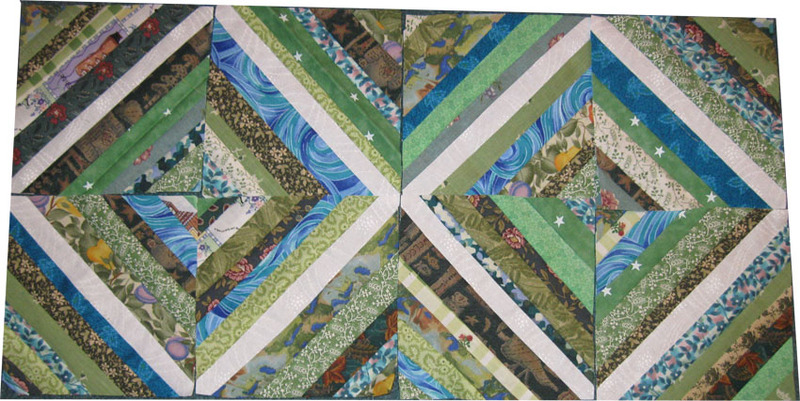 I like it a lot but I'm already starting to think of the quilting process. It may be a nightmare but I'll try to not think about it until I'm closer to the quilt top being finished. What a great way to use up non-favorite fabrics!